Heatsavr is an effective liquid solar pool cover that greatly reduces heat loss and evaporation from exposed pool surfaces. The barrier created by HeatSavr will lead to reduced costs in water and heating bills! 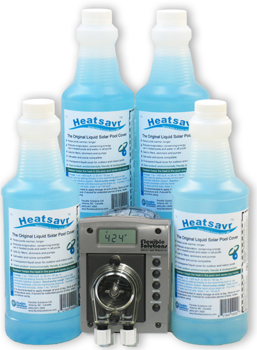 To learn how this product can help save money on water and heating bills, visit our HeatSavr Liquid Pool Cover webpage or contact your Export Manager.